UPDATED: Wed., March 21, 2018, 7:41 p.m.
BILLINGS – Declines in coal power plant construction in China, India and the U.S. are projected to push the heavily-polluting fuel over the edge – but not fast enough to meet international climate change goals, environmental groups said Wednesday. Coal’s dominance as the fuel of choice for generating electricity has been slipping as cheap natural gas and renewable energy sources challenge its decades-long reign. A joint report by the groups CoalSwarm, Sierra Club and Greenpeace projects that by 2022 retirements of older, more polluting coal plants will outpace new plant construction for the first time in the modern era. The findings are in line with data from the International Energy Agency, which recently declared coal was in a “decade of stagnation” with demand declining at a level last seen in the early 1990s. Having fewer coal-fired plants would bolster international efforts to move away from the cheap and widely available fuel. Coal accounted for about 70 percent of worldwide power sector emissions of the greenhouse gas carbon dioxide in 2016, according to the International Energy Agency estimates. Yet the authors of Wednesday’s report and independent analysts agree the pace of decline is still too slow to meet the goals of the Paris climate accord. The 2015 agreement was intended to fend off the worst effects of climate change by holding global temperature increases to no more than 2 degrees centigrade. In the U.S., President Donald Trump’s vociferous promotion of coal has had at best a modest impact on the industry. 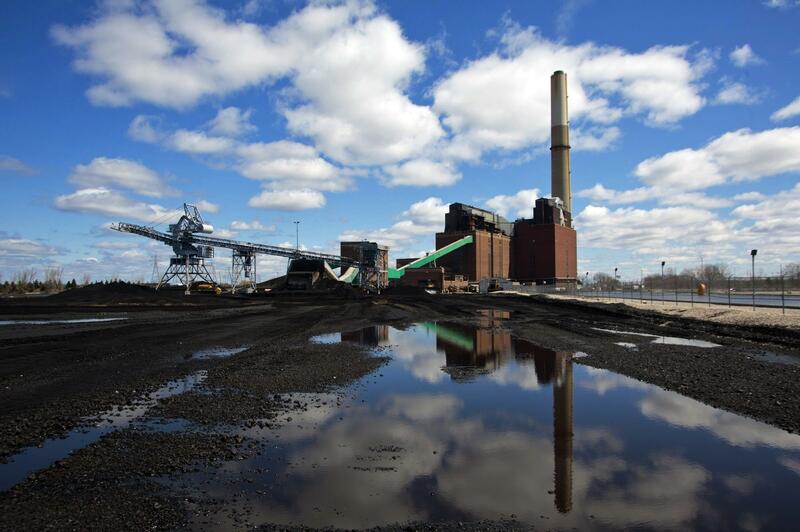 Wednesday’s report noted that the U.S. currently has no new coal plants under construction. In India and China, coal project cancellations have been growing as the world’s two most populous nations struggle to clear polluted skies that have had dramatic negative health impacts. Combined, they’ve shelved more than 500 gigawatts of coal projects that were once on the drawing board – equivalent to more than 1,000 coal-burning power units, according to CoalSwarm director Ted Nace. Still, there are pockets of expected growth, according to Roberts and other observers, with new plants expected to go up in southeast Asia, Turkey and Pakistan. In China – by far the world’s largest coal consumer – the amount of coal that was mined increased about 3 percent in 2017 to reverse a dramatic drop the previous year, according to government figures. That reflects the stance by China’s leaders that coal will remain a key piece of its ongoing economic expansion, even as the communist nation has become the world leader in renewable energy development. Pointing to China’s example, industry representatives stress that coal remains essential to balancing the global energy budget into the foreseeable future. Potential increases in India and southeast Asia “will be the driving force of demand for coal in the decades to come,” said Benjamin Sporton, chief executive of the World Coal Association. “To put in some context, even with the cancellation of some proposed plants, planned capacity additions in India are still more than three times greater than Germany, a major coal user,” Sporton said in a statement released by the London-based organization in response to Wednesday’s report. The group did not directly dispute the claim that coal’s growth in the power sector will peak by 2022. Meanwhile, finding money to build coal plants is getting harder, Roberts said. That’s driven in part by some major investors such as pension funds and multinational insurance companies that have pledged to stay away from coal projects because of their air pollution and climate impacts. The head of Storebrand Asset Management, Norway’s largest private asset manager with more than $90 billion under management, Jan Erik Saugestad said coal investors “are living on borrowed time” as institutional money instead pours into solar and wind projects. Storebrand began divesting from coal in 2013. Published: March 21, 2018, 6:35 p.m. Updated: March 21, 2018, 7:41 p.m.